"With all our being we want to serve God without needing anything from Him." Everything God does has its end and fulfillment in His Beloved Son. Centuries in advance the Father was preparing a people and a land for the coming of Yeshua. Abram’s promises were given with that plan hidden in God’s perfect heart. 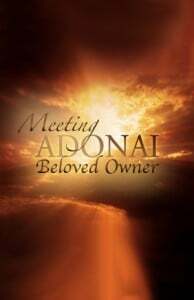 All that Adonai gives and does FOR you and IN you has its purpose ultimately for the Lord Jesus.